Firefighters who happened to be nearby noticed the fire. 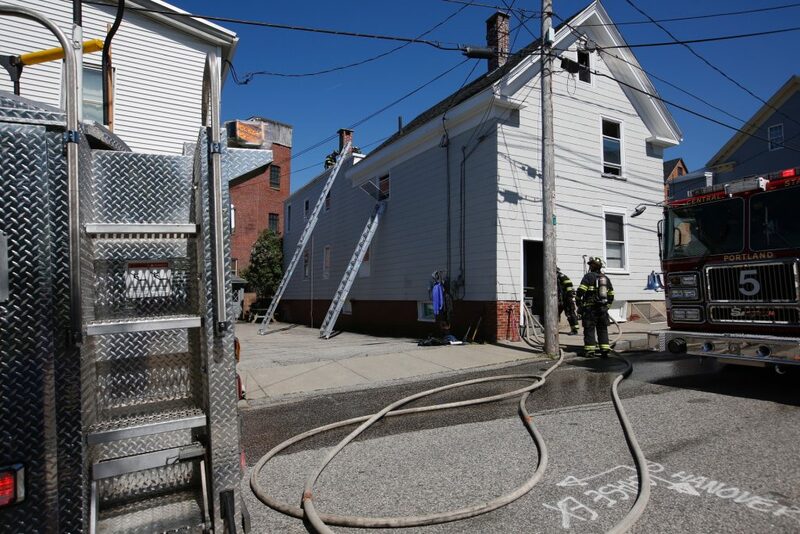 A two-alarm fire Tuesday afternoon severely damaged the rear of a three-family home at 41 Alder St. in the West Bayside neighborhood of Portland. 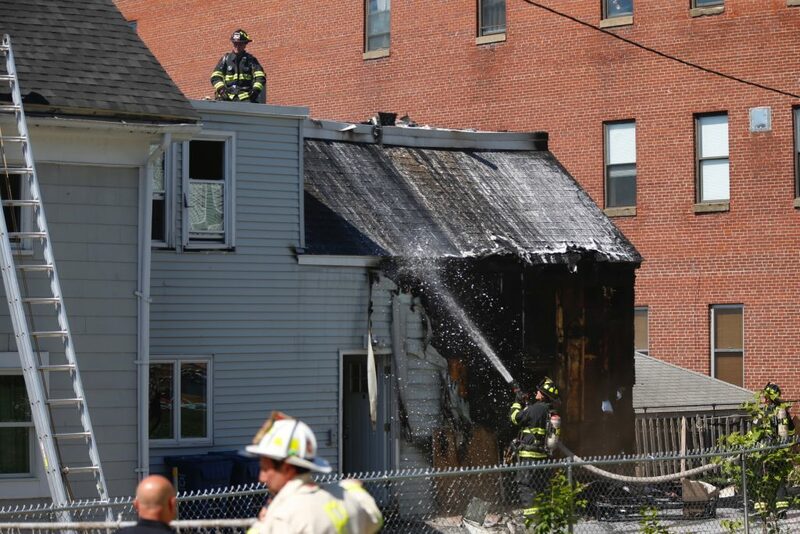 Firefighters with a Portland ladder company happened to be nearby on Hanover Street when they noticed the smoke and flames and rushed to the scene, said Assistant Chief Mike Nixon. Everyone inside the building fled safely, but firefighters searched the building anyway and found nobody inside. Firefighters quickly extinguished the flames, which extended into the second floor of the main portion of the building, Nixon said. The rear portion of the building that was most damaged by the flames housed a bedroom, he said. Portland firefighters work at the scene of a house fire in the West Bayside neighborhood on Tuesday.